Unless you’ve got a tidy sum of cash stashed away in the back, buying a home means taking on a mortgage loan. That can be a daunting proposition for someone who doesn’t have the best credit, since it likely means paying a higher interest rate or possible getting denied altogether. One of the myths people with poor credit scores tend to believe is that bad credit is automatically a roadblock to getting a home loan. While it’s true that lenders are looking for borrowers with good credit, getting mortgage with bad credit is still possible. Keep on reading to find out the credit score needed for mortgage loans and how you can improve your chances on getting one. Are there bad credit mortgage lenders? Even though most mortgage rates based on credit score are too high for people with poor credit, there are some lenders that are willing to grant a loan to home-buyers with a lower score. As long as you can provide proof of income, you have some money in the back and you’re working on improving your score, you’ve got a decent shot at getting the thumbs-up from a lender. For example, FHA loans, which are backed by the federal government, require a minimum score of just 580. Mortgage lenders have two systems for reviewing applications. The first is through automated underwriting systems, like Fannie Mae and Freddie Mac, that automatically approve or deny loans based on certain criteria including your credit score, income, and total debt. The second is through manual underwriting systems, which allow the lender to make personal judgements on approval or denial after reviewing the applicant’s financial situation more thoroughly. The first system is used for the initial round of approval and denial. Sometimes, once applications are denied, the lender will go in and take a closer look at why an applicant’s credit score is so low. If their score is low but they’ve saved up a sizable down payment or they haven’t had any late payments in the last year, the lender might decide to approve the loan based on these criteria. The bottom line, mortgage rates by credit score can be negotiated if you have hard evidence of financial responsibility to back it up. What is the minimum credit score for mortgage loan? As we mentioned earlier, a mortgage credit score of 580 is the minimum credit score the Federal Housing Administration requires to get an FHA loan with a 3.5% down payment. However, you can still qualify for a FHA loan if your credit score is below 580 but you’ll have to fork over a down payment of 10% instead. The minimum score for conventional loans, VA and USDA loans is slightly higher, at 620. With a conventional loan, which is backed by Fannie Mae or Freddie Mac, you’re typically expected to put down between 10% and 20% of the home’s purchase price, with 20% being the amount required to avoid private mortgage insurance. Both VA loans and USDA loans allow you to skip out on putting anything down and neither one requires traditional private mortgage insurance. Aside from meeting the minimum credit standards, you’ll need to have military experience to get a VA loan or be buying a home in a rural area and fit the income guidelines for a USDA loan. It’s also important to remember that the minimums for conventional, FHA, VA and USDA loans are just a guideline. Lenders may require a higher score, depending on your individual financial situation. With a bad credit score for mortgage what rates will you get? Mortgage interest rates by credit score can vary based on which range your score falls into. Of course a good credit score for mortgage will get you a better interest rate than a poor credit score. In terms of what counts as “good” credit, that really depends on the lender but generally, it includes anything between 700 and 749. Anything below 649 would be considered poor credit. In terms of how that affects what you’ll pay for a mortgage, it carries more weight than you’d think. Here’s an example. Joe wants to take out a $200,000 loan to buy a mortgage and his credit score is 647. The bank approves him for a 30-year loan at a 5.5% interest rate, which essentially doubles the cost of the home once he pays it off. Joe’s friend Dave also has his eye on a home and he goes to the same bank to get a loan. His 655 credit score allows him to get a $200,000 mortgage with a 30-year term at a rate of 4.5% instead. Over the life of the loan, he’s going to save nearly $45,000 in interest compared to what Joe’s paying, all because his credit score is just a few points higher. Fortunately, there are some things you can do to maneuver your way to a better interest rate. For example, if you can show that you’ve been paying rent in full and on time for at least a year and the monthly mortgage payments won’t come as a shock to your bank account, you may be in luck. Just make sure your rent payment is comparable to the kind of mortgage you’re taking on, since the lender will want to make sure you can keep up with the payments. Another way to increase your chances of approval for mortgages for bad credit is to make a bigger down payment. Putting 20% down is the industry standard but you should only do this if you’ll still have enough money left in the bank to cover any emergencies that might come up. Otherwise, you could end up having to go into debt if you have an unexpected expense, which could hurt your score. • Legal judgements or collections. 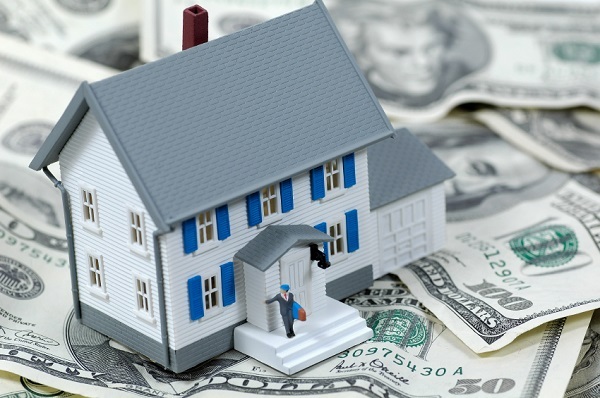 Mortgage lenders will look at the age, dollar amount, and payment history for all of your different lines of credit. That being said, you need to make sure you’re sticking to good financial habits to help your score move up instead of down. Be selective about how often you open new lines of credit, aim to keep your total debt load at 30% or less of your total credit limit and always pay your bills on time. It’s also important to note here that lenders are beginning to see a difference in low credit score applicants between those who have lost their jobs versus those who behaved irresponsibly with their credit. Staying organized and up-to-date on your financial situation is the best way to help your credit score grow. Credit Sesame offers a number of tools to help you evaluate your finances so you can get approved for a loan. For instance, our mortgage calculator with credit score available, can help you instantly analyze current mortgage rates and visually compare the top loan offers personalized to your needs. Taking advantage of these and other resources will put you one step closer to getting approved for a mortgage and owning your dream home. Credit Sesame is a completely free personal finance tool that provides you with a free credit score and recommendations to help you take action on your credit and save money on your loans and credit cards. Can I get a mortgage with bad credit even though I have a really high salary right now and no debt? Just wondering if its only dependent on the score and not your current siuation? You 'can' get a low credit score mortgage from some smaller loan companies, but the interest rates will be incredibly high that it might not be worth it - unless you are willing to dig a deep whole for yourself...again? Mortgage with bad credit are usually given by these types of small companies, and it's too risky in my opinion to even think about. Wait until you have at least average to good credit. What is the credit score required for mortgage brokers? Can I get a mortgage with a 600 credit score or would they reject me instantly? I've never been in bankruptcy and pay all my bills on time, but had some issues with credit cards in the past, so wanted to know what would happen if I apply. With my 650 credit score mortgage rates are still very high - almost making it not worth it to take out a mortgage right now. Luckily I'm not in a rush to purchase a home so I am going to work on building up my score first. But if you're really pressed for time, you should look into FHA loans. I think the minimum FHA mortgage credit score is 580 so you should be in the clear. Are average mortgage rates by credit score or are they based on other consumer or market information? Since I don't have a great credit score, I want to get a better idea of what else exactly goes into calculating the offers I get for mortgage loans. Because I know that asking can I get a mortgage with a 500 credit score just sounds silly. Any ideas?? I'm not sure on the specifics, but I do know that you are correcting in thinking all mortgage lenders have different requirements for loan approval. For example, with my 580 credit score mortgage lenders weren't aplenty, but I still found a couple that could give me an offer! As far as I know the credit score for conventional mortgage is about 750 or higher. Unfortunately most of us don't have that great of credit. I'm wondering can I get a mortgage with a 620 credit score without having to get an FHA loan? I know the rates might be higher but if I can put a bigger down payment down it might make it better. Any suggestions? What credit score do mortgage lenders use? I want to know the most common ones so I know what type of standing I have. I need to also know what credit score for a mortgage is best when it comes to paying the lowest interest? The whole 15 year fixed or 30 year fixed mortgages? I got a 580 credit score mortgage from a major institution, but the interest wasn't that great - but didn't have much option at the same time. My brother in law got a mortgage with 600 credit score and it was essentially the same thing because we were in the same credit range from the bureau that they pulled from. The best credit score for mortgage is of course the highest credit range, excellent, you will have the best interest rates there - but it even varies greatly what you get in that bracket as well from past history. Susan, not sure what you are talking about, but with that credit score you wouldn't be able to get a mortgage from any major institution? What qualifies 'major' for you? Major in a village is different from a major in a city like NY. Low credit score mortgage loans are usually done through FHA or Rural Development type loans, where the minimum required is at least 640. Anything lower and I doubt you'll be qualified for anything apart from a shady dealer. Hi, I'm new to the whole mortgage scene, so I'm not sure whether this is a stupid question or not, but I'd like to know - can I get a mortgage with a 550 credit score? Or, for my age of 21, is that too low? I'd like to invest in my first property but never took the time to build up my credit. I'm 26 years old, and have never had a mortgage before or even shopped around for one, but can I get a mortgage with a 630 credit score? I know many ask within the same range, but I'm wondering if I meet another bracket or not? Should I look at the VantageScore or Experian?